My research is focused on major transitions in life's history that have resulted in the immense diversification of animal body plans. From the first cell colonies representing the most ancestral multicellular animals, so far unresolved evolutionary events led to the development of organized tissue layers, nervous and muscle systems, germ layers, and body axes. 3. to elucidate the origin of Cadherin-Catenin-based cell adhesion and its contribution to the establishment of true epithelia. Aufschnaiter, R., Wedlich-Söldner, R., Zhang, X., and Hobmayer, B. (2017) Apical and basal epitheliomuscular F-actin dynamics during Hydra bud evagination. Biol. Open 6, 1137-1148. Rodrigues, M., Beisel, C., Berezikov, E., Hobmayer, B., and Ladurner, P. (2016) Profiling of adhesive-related genes in the freshwater cnidarianHydra by transcriptomics and proteomics. Biofouling 32, 1115-1129. Rodrigues, M., Leclère, P., Flammang, P., Hess, M., Salvenmoser, W., Hobmayer, B., and Ladurner, P. (2016) The cellular basis of bioadhesion of the freshwater polyp Hydra. BMC Zoology 1, 3. Seybold, A., Salvenmoser, W., and Hobmayer, B. (2016) Sequential development of apical-basal and planar polarity in aggregating epitheliomuscular cells in Hydra. Dev. Biol. 412, 148-159. Juliano, C. and Hobmayer, B. (2016) Animal evolution: new perspectives from early emerging metazoans. Meeting report. BioEssays 38, 216-219. Hasse, C., Holz, O., Lange, E., Pisowodzki, L., Rebscher, N., Eder, M.-K., Hobmayer, B., and Hassel, M. (2014) FGFR-ERK signaling is an essential component of tissue separation in Hydra. Dev. Biol. 395, 154-166. Bosch, T., Adamska, M., Augustin R., Domazet-Loso, T., Foret, S., Fraune, S., Funayama, N., Grasis, J., Hamada, M., Hatta, M., Hobmayer, B., Kawai, K., Klimovich, A., Manuel, M., Shinzato, C., Technau, U., Yum, S., and Miller, D.J. (2014) How do environmental factors influence life cycles and development? An experimental framework for early-diverging metazoans. BioEssays 36, 1185-1194. Hartl, M., Glasauer, S., Valovka, T., Breuker, K., Hobmayer, B., and Bister, K. (2014) Hydra myc2, a unique pre-bilaterian member of the the myc family, is activated in cell proliferation and gametogenesis. Biol. Open 3, 397-407. Marchesano, V., Hernandez, Y., Salvenmoser, W., Ambrosone, A., Tino, A., Hobmayer, B., De La Fuente, J. and Tortiglione, C. (2013) Imaging inwards and outwards trafficking of gold nanoparticles in whole animals. ACS Nano 7, 2431-2442. Hobmayer, B. and Rieger, R. (2013) Metazoa, tierische Vielzeller. In Spezielle Zoologie. Teil 1: Einzeller und wirbellose Tiere. 3. Auflage (Westheide, W. and Rieger, G., Eds. ), pp. 59-77, Elsevier, München. Hobmayer, B. and Nickel, M. (2013) Parazoa. In Spezielle Zoologie. Teil 1: Einzeller und wirbellose Tiere. 3. Auflage (Westheide, W. and Rieger, G., Eds. ), pp. 78-79, Elsevier, München. Hobmayer, B. and Rieger, R. (2013) Eumetazoa. In Spezielle Zoologie. Teil 1: Einzeller und wirbellose Tiere. 3. Auflage (Westheide, W. and Rieger, G., Eds. ), pp. 108-116, Elsevier, München. Rieger, R., Haszprunar, G., Hobmayer, B. (2013) Bilateria. In Spezielle Zoologie. Teil 1: Einzeller und wirbellose Tiere. 3. Auflage (Westheide, W. and Rieger, G., Eds. ), pp. 164-179, Elsevier, München. Ambrosone, A., Marchesano, V., Tino, A., Hobmayer, B., and Tortiglione, C. (2012) Hymyc downregulation through small interfering RNA promotes stem cell proliferation in Hydra vulgaris. PLoS ONE 7, e30660. Chapman, J.A. et al. (2010) The dynamic genome of Hydra. Nature 464, 592-596. Hartl, M., Mitterstiller, A.-M., Valovka, T., Breuker, K., Hobmayer, B., and Bister, K. (2010) Stem cell-specific activation of an ancestral myc protooncogene with conserved basic functions in the early metazoan Hydra. PNAS 107, 4051-4056. Egger, B. et al. 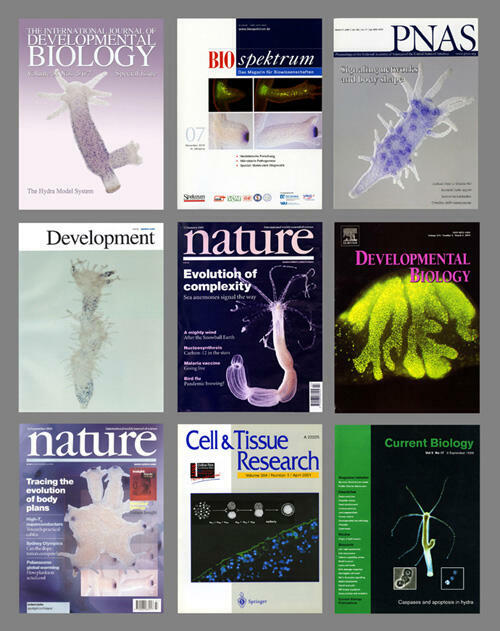 (2009) To be or not to be a flatworm: The acoel controversy. PLoS ONE 4, e5502. Bode, H., Lengfeld, T., Hobmayer, B., and Holstein, T.W. (2008) Detection of expression patterns in hydra pattern formation. Methods Mol. Biol. 469, 69-84. Özbek, S., Adamczyk, P., Meier, S., Gross, T., Hobmayer, B., Grzesiek, S., Bächinger, H.P., and Holstein, T.W. (2008) Minicollagen-15, a novel minicollagen isolated from Hydra, forms tubule structures in nematocysts. J. Mol. Biol. 376, 1008-1020. Rentzsch, F., Guder, C., Vocke, D., Hobmayer, B., and Holstein, T.W. (2007) An ancient chordin-like gene in organizer formation of Hydra. PNAS 104, 3249-3254. Ladurner, P., Meyer, E., and Hobmayer, B. 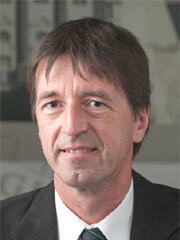 (2007) Reinhard Rieger. DZG Mitteilungen 2007, 59-63. Guder, C., Philipp, I., Lengfeld, T., Watanabe, H., Hobmayer, B., and Holstein, T.W. (2006) The Wnt code: cnidarians signal the way. Oncogene 25, 7450-7460. Hobmayer, B. (2006) Evolutionsbiologie (by U. Kutschera). Ber. nat.-med. Verein Innsbruck 93, 259-260. Philipp, I., Holstein, T.W., and Hobmayer, B. (2005) HvJNK, a Hydra member of the c-Jun NH2-terminal kinase gene family, is expressed during nematocyte differentiation. Gene Expr. Patterns 5, 397-402. Rieger, R.M., Ladurner, P., and Hobmayer, B. (2005) A clue to the origin of the Bilateria? Science 307, 353-354. Hobmayer, B., Rentzsch, F., Technau, U., and Holstein, T.W. (2004) Signaling molecules in the Hydra head organizer and the evolution of axis formation. Grav. Space Biol. Bull. 17, 107-113. Technau, U.,Hobmayer, B., Rentzsch, F., and Holstein, T.W. 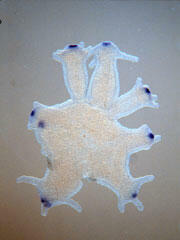 (2004) The small freshwater polyp Hydra as a model for axis formation in higher organisms. In Function and Regulation of Cellular Systems (Deutsch, A., Howard, J., Falcke, M., Zimmermann, W., Eds. ), pp. Springer, Heidelberg, New York. Technau, U.,Hobmayer, B., Rentzsch, F., and Holstein, T.W. (2003) De novo formation of the Hydra head organizer. Nova Acta Leop. 332, 353-366. Holstein, T.W., Hobmayer, B., and Technau, U. (2003) Cnidarians – an evolutionary conserved model system for regeneration? Dev. Dyn. 226, 257-267. Hobmayer, B., Rentzsch, F., and Holstein, T.W. (2001) Identification and expression of HySmad1, a member of the R-Smad gene family of TGFb signal transducers, in the diploblastic metazoan Hydra. Dev. Genes Evol. 211, 597-602. Technau, U., Laue, C., Rentzsch, F., Luft, S., Hobmayer, B., Bode, H.R., and Holstein, T.W. (2000) Parameters of self-organization in Hydra aggregates. PNAS 97, 12127-12131. Hobmayer, B., Holstein, T.W., and David, C.N. (1997) Stimulation of tentacle and bud formation by the neuropeptide Head Activator in Hydra magnipapillata . Dev. Biol. 183, 1-8. Hobmayer, E., Hatta, M., Fischer, R., Fujisawa, T., Holstein, T.W., and Sugiyama, T. (1996) Identification of a Hydra homologue of the b-catenin/plakoglobin/armadillo gene family. Gene 172, 155-159. Holstein, T.W. andHobmayer, E. (1996) Die Evolution entwicklungsbiologischer Prozesse. Forschung Frankfurt3/1996, 22-36. Holstein, T.W., Hobmayer, E., and David, C.N. (1991) Pattern of epithelial cell cycling in Hydra. Dev. Biol. 148, 602-611. Hobmayer, E.and David, C.N. (1990) Differentiation of a nerve cell-battery cell complex in Hydra. In Evolution of the First Nervous Systems (Anderson, P., Ed. ), pp. 71-80. Plenum Press, New York. Hobmayer, E., Holstein, T.W., and David, C.N. (1990) Tentacle morphogenesis in Hydra. I. The role of head activator. Development 109, 887-895. Hobmayer, E., Holstein, T.W., and David, C.N. (1990) Tentacle morphogenesis in Hydra. II. Formation of a complex between a sensory nerve cell and a battery cell. Development 109, 897-904. David, C.N., Bosch, T.C.G., Hobmayer, E., Holstein, T.W., and Schmidt, T. (1987) Interstitial stem cells in Hydra. In Genetic Regulation of Development (Loomis, W.F., Ed. ), pp. 389-408. Alan R. Liss Inc., New York.